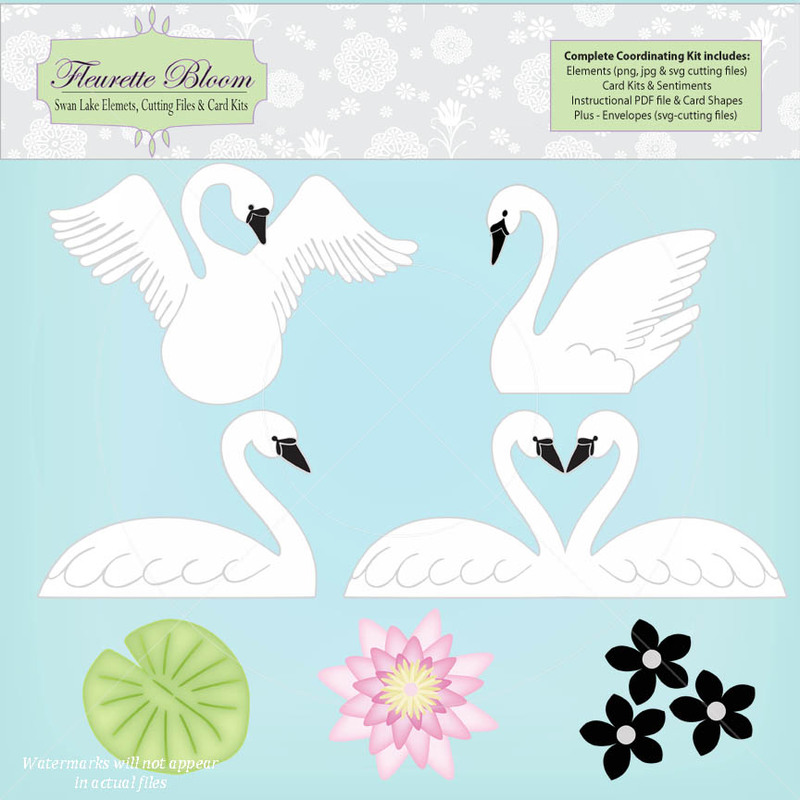 I have to say this is one of my favorite SVG cut files, as I just love how elegant and beautiful swans are. 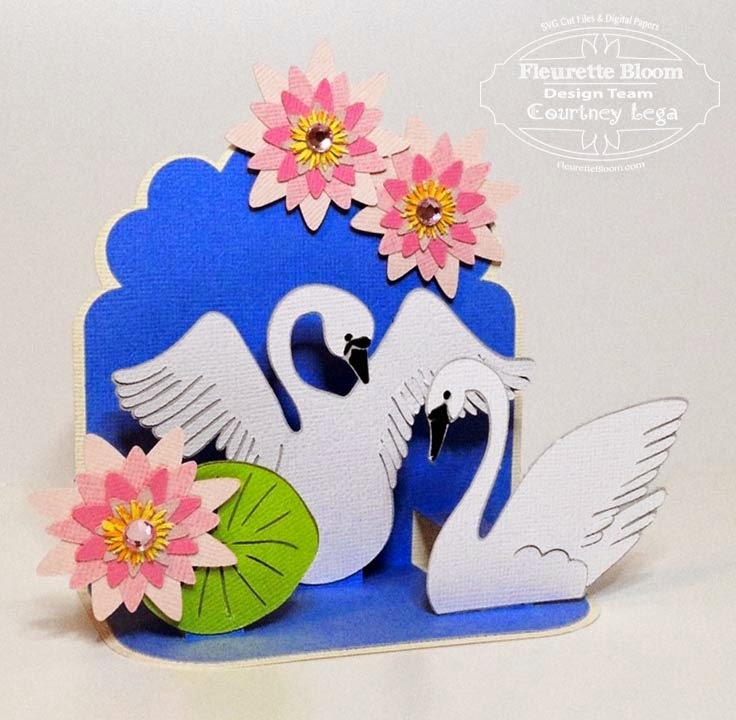 DT Member Courtney created this gorgeous and easy to put together "Swan Lake" Pop Up Card, using the Fleurette Bloom "Swan Lake" SVG Card Kit. I think it is a perfect card for so many occasions, birthdays, friendship, weddings, engagement, get well, etc. 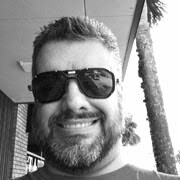 All our SVG Cut Files have been tested and cut clean and smooth. 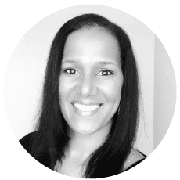 The need for speed is in all of us, for some it is right out there for everyone to see and for others it is tucked away and peeks out every now and then. 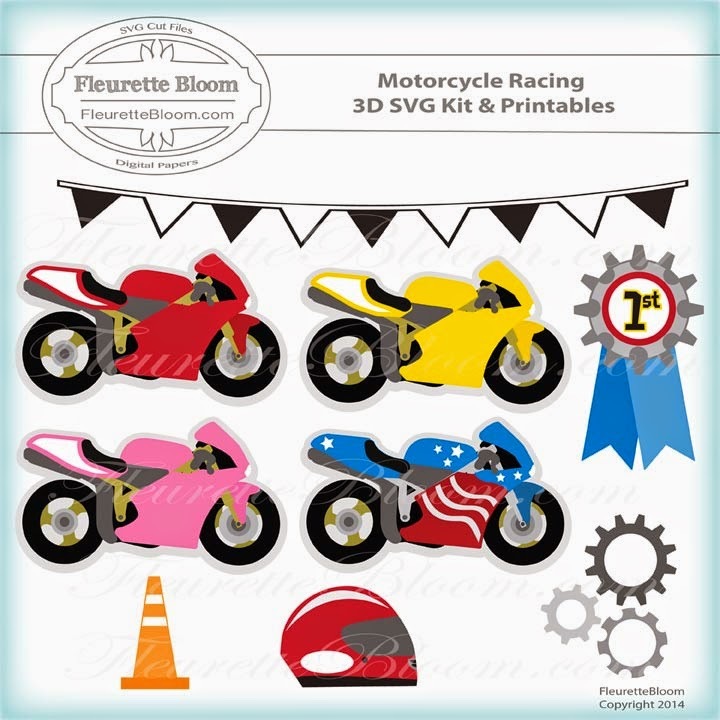 Have a little fun with our new Motorcycle Racing Kit. 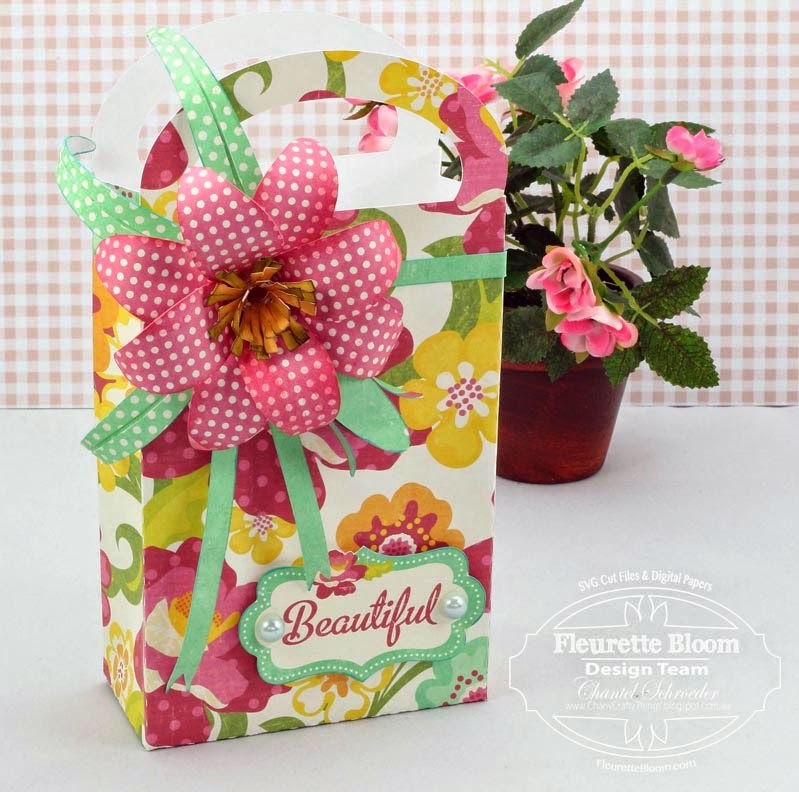 :) These projects are great for parties, presents, cards, scrapbooks, T-shirts and more! 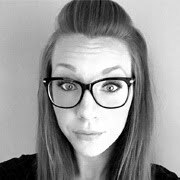 Scroll down to see all the fun projects! 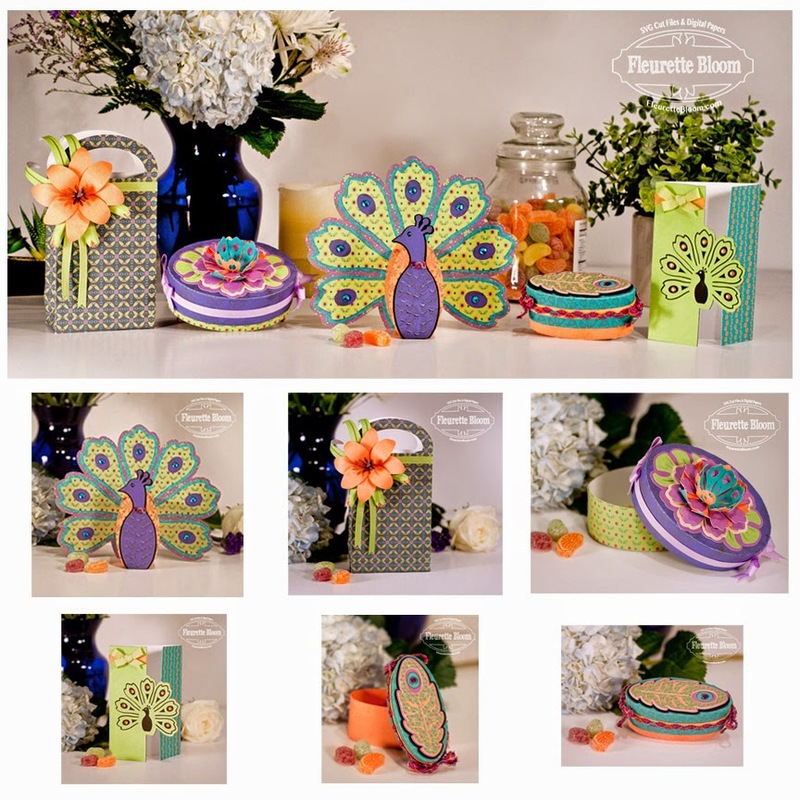 Use it as a treat box, gift box or table decoration! 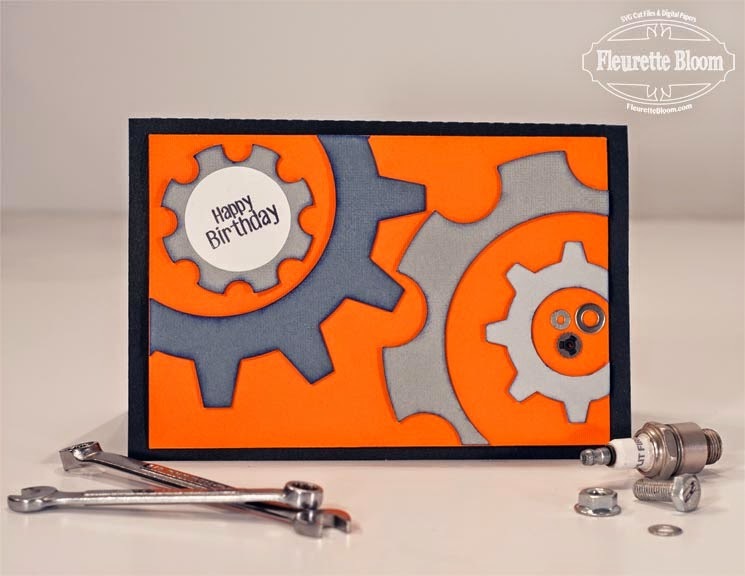 Create a card using just the motorcycle, you can make it in any color or use patterned paper to really change it up! How about a fun T-shirt with the printable that comes with this kit! 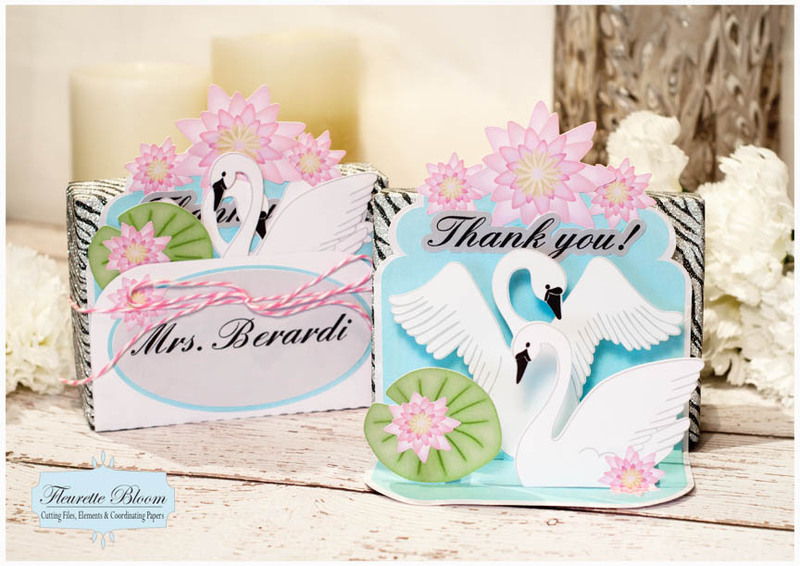 Here is a fun and super easy card to create! 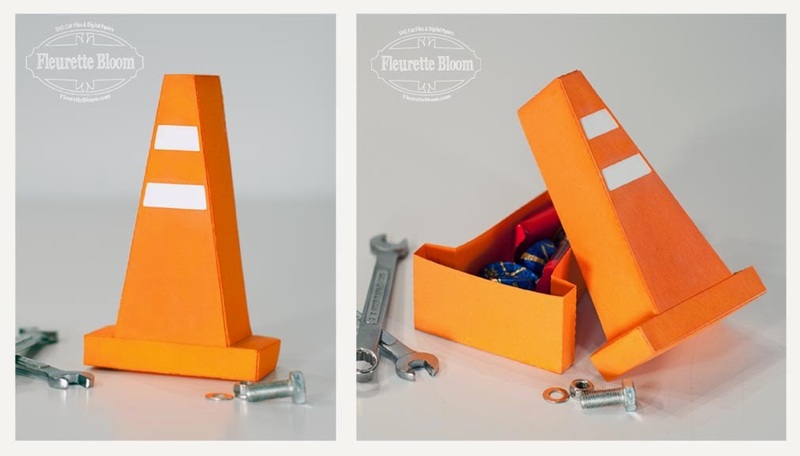 Perfect for that gear head or tinkerer. Add any sentiment using a stamp in the circle, great for so many occasions! I used a "Happy Birthday" stamp from the "Simply Said" stamps by Craftin Desert Divas. Make it in different colors or patterns too! 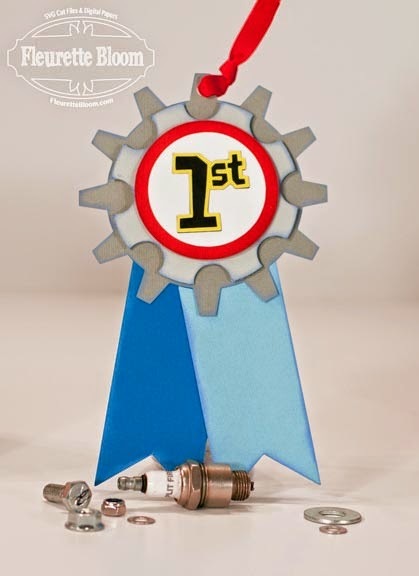 "1st Place Gear Ribbon Tag"
The "1st Place Gear Ribbon" SVG Cut file is great just as it is for gift bags or use it on a card. How about using actual ribbon for the bottom with the gear section at the top and create a fun ribbon to pin on someone. 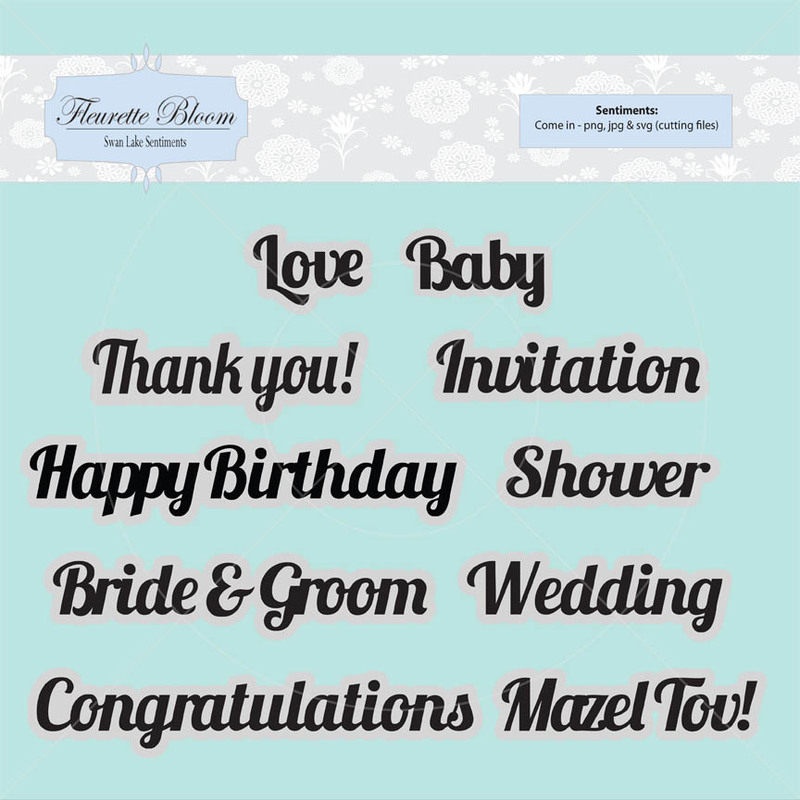 Make it a birthday ribbon or congratulations ribbon, use a stamp and add any sentiment to the center! This 3D SVG cut file is just plain fun! 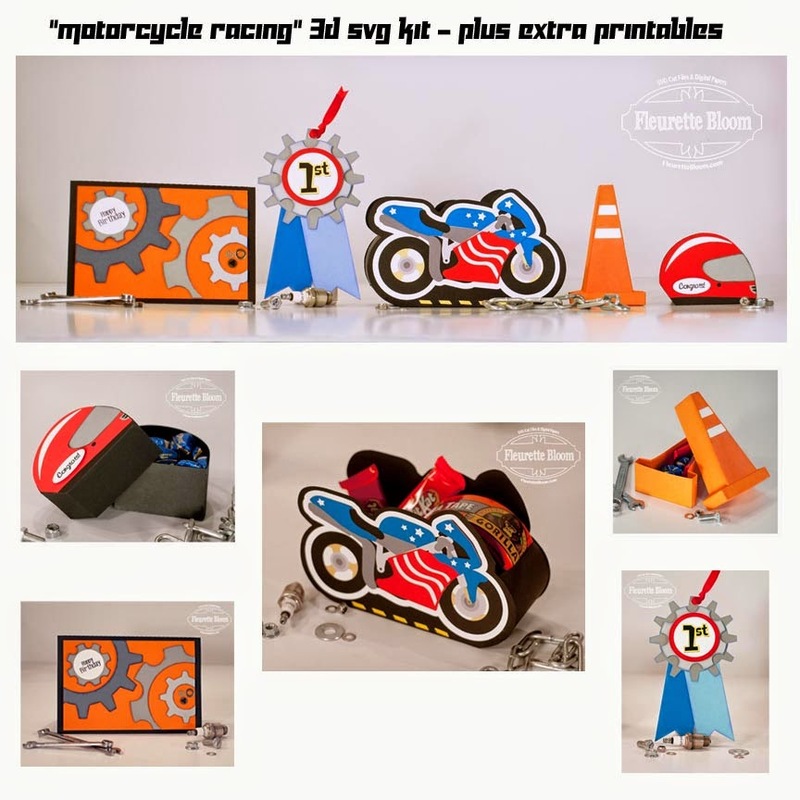 Fill it with special treats and give as a gift or create a race course on your party table, use the "Motorcycle" Treat box as your center piece, then each guest could take home a treat "Racing Cone" So fun!!! 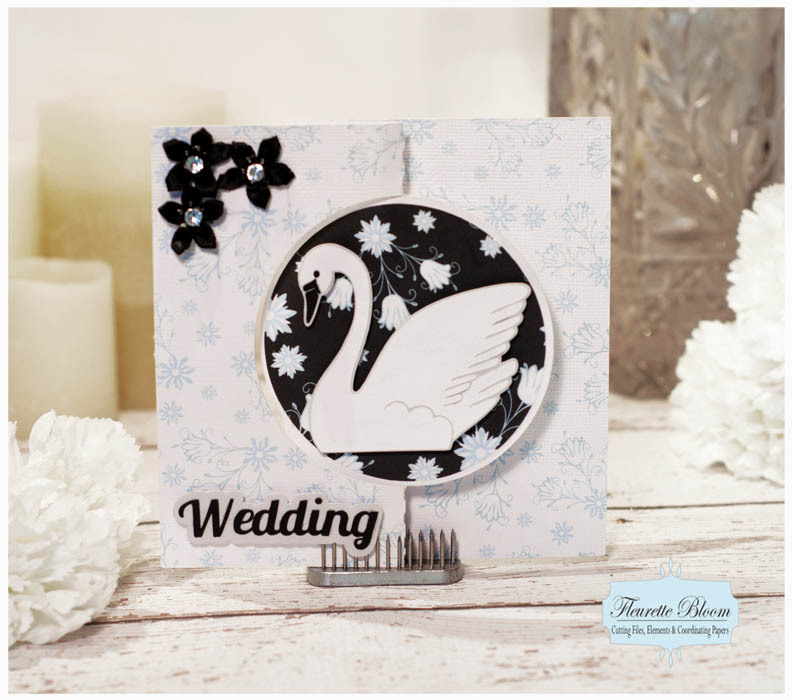 The flat SVG file of the cone is also great for cards or scrapbooks! Nothing says racing or daredevil like a racing helmet! This svg helmet treat box is great for giving a special gift or as party souvenirs for your guests! You can also make a really cool card using the flat "Racing Helmet" svg too. Or how about a rad T-shirt using the printable! 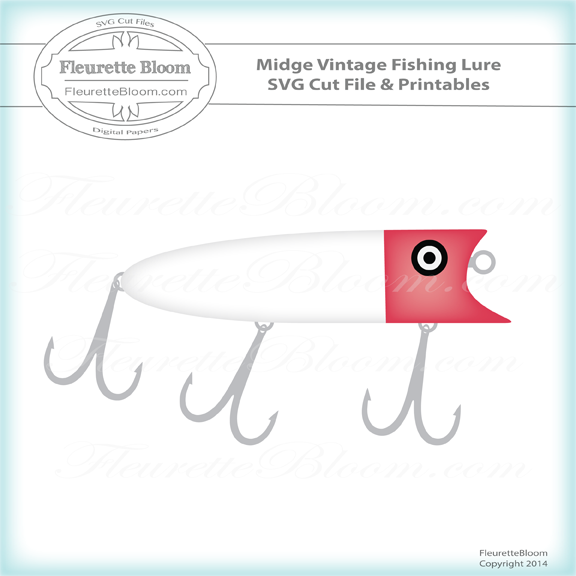 The new Fleurette Bloom "Midge Vintage Fishing Lure" SVG Cut File & Printables is so fun and perfect for that man who loves to fish or for a great Fathers Day card, plus it's easy to create! 1 - SVG Cutting File - so you can cut them out using any paper you choose ~ * Plus optional offset path SVG file!